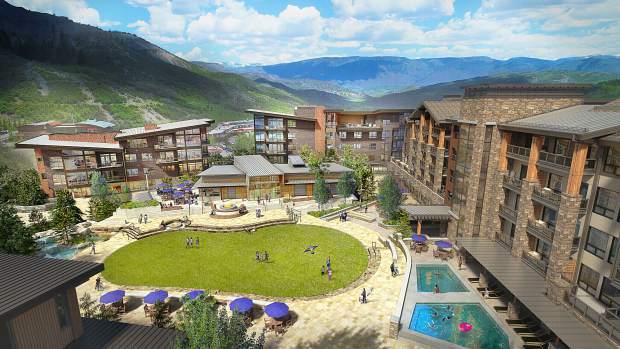 A rendering of the future site of "One Snowmass," or Base Village Buildings 7 and 8. The Snowmass Town Council on Tuesday approved the developers' final architecture plans for the buildings. While the future inside Base Village Building 6 remains less certain after the Aspen Center for Environmental Studies on Tuesday declined the town of Snowmass’ offer to co-develop the space, plans for Buildings 7 and 8 are progressing. The resolution, however, included one condition: the developers must conduct a “reflectivity study” to be sure the light reflected from the two buildings is not an issue for its neighboring lodges. “The time to address this would be now,” Keefer said before the council, “because once it’s built, I don’t think anybody’s going to go back” and resolve any issues. A few other Snowmass condo unit owners at the meeting also expressed a collective desire to see a pool or “some sort of aquatic facility” at One Snowmass. Initial conversations regarding a pool in Buildings 7 or 8 dates back to the Base Village project’s original approvals in 2004. At Tuesday’s meeting, East West managing partner Andy Gunion mentioned a potential hot tub but not a pool. Kinney said it is premature and “irrelevant” to delve into such specifics at this time, as the developers will need to return before the council to further discuss details including “parking, pools” and more. “The designs of the (buildings) are what was approved tonight,” Kinney said. For now, what’s certain is One Snowmass will continue to provide a mix of residential condominiums, employee units, a medical clinic and retail space, according to a memo from Community Development Director Julie Ann Woods. The Denver-based firm 4240 Architects is designing Buildings 7 and 8, which will feature more of a “mountain contemporary” style rather than the originally proposed “Anderson Ranch rustic” look, project designer Christian Barlock said. “We’re inspired by mid-century ski lodges” and celebrating skiing and the environment, Barlock said. Among other more notable changes in the floor plans for Building 7 are a clerestory in the lobby area of the welcome center, a new open stairwell from the welcome center to village level, a reduction in employee units from four to three, and an increase in retail space at both corners of the building on the village level, the memo states. Building 8, which will offer one employee unit, will include additional food and beverage space as well as a commercial yoga and fitness studio. The development, which is now approved at 139,532 square feet, is proposed to increase to 142,374 square feet, according to the project summary. The Town Council commended the developers for some of the changes they made from the original PUD, including the added stairwell. 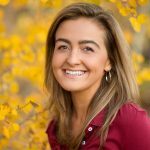 “I think that addition is going to make a huge difference,” Snowmass Town Councilman Bill Madsen said.